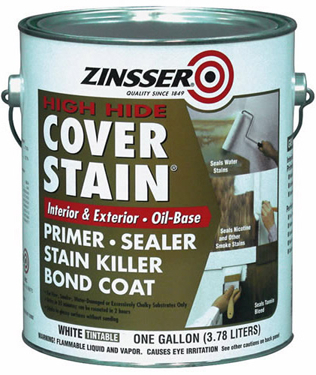 High adhesion interior/exterior primer-sealer to seal damage from smoke, water, fire, nicotine, and tannin bleed. Great penetration and flexibility on exterior wood. Battery smooth with great leveling. Dries to touch in 30 minutes. Can be recoated in 2 hours. VOC Compliant in the following states: Delaware, Maine, Maryland, New Jersey, New York, Pennsylvania, Virginia and Washington DC. White. Size 1 gallon.